phyBOARD-Regor is designed for use for standard top-hat rail housing (such as Bopla CombiNorm-Connect). 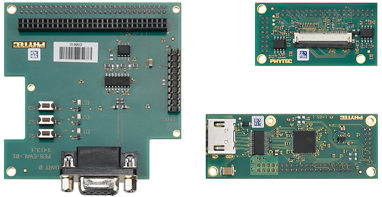 Network as well as fieldbus interfaces such as 2x LAN, CAN, RS485 and RS232 are populated directly on the board. phyBOARD-Regor also offers a 60-pin expansion connector. See here for the phyBOARD-Regor Download » section.